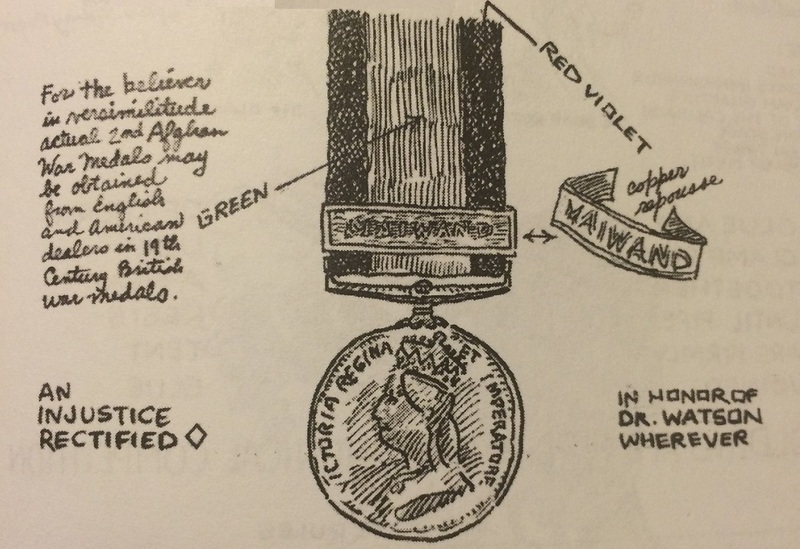 For the believer in versimilitude actual 2nd Afghan War Medals may be obtained from English and American dealers in 19th Century British War Medals. A reminder of the visissitudes of life: After Watson caught typhoid fever while recovering from his wounds●, he was returned to England because of his ill health and put on pension, eventually gravitating to London. There his sprendthrift ways put him in a bad financial hole. He was introduced to a fellow who had similar financial problems and the pair decided to share some rooms. That fellow was Sherlock Holmes. * Under 19th Century regulations, the British Army issued bars to members of units who served in victorious engagements only! Because the British and Indian forces at Maiwand suffered a terrible defeat, no Maiwand bar could be authorized. 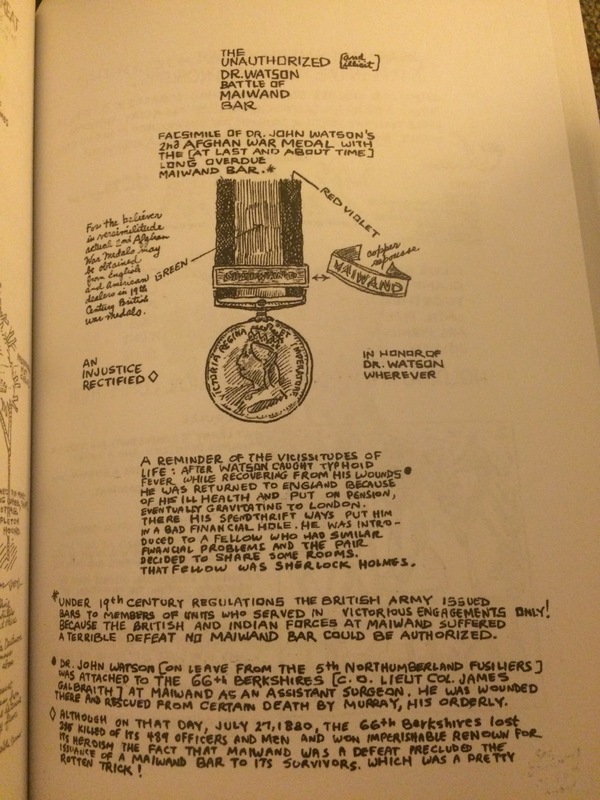 ● Dr. John Watson [on leave from the 5th Northumberland Fusiliers] was attached to the 66th Berkshires [C. O. Lieut. Col. James Galbraith] at Maiwand as an Assistant Surgeon. He was wounded there and rescued from certain death by Murray, his orderly. ◊ Although on that day, July 27, 1880, the 66th Berkshires lost 285 killed of its 489 officers and men and won impersihable renown for its heroism, the fact that Maiwand was a defeat precluded the issuance of a Maiwand bar to its survivors. Which was a pretty rotten trick! This post was adapted, with permission, from a cartoon by the late Norman Schatell, BSI. 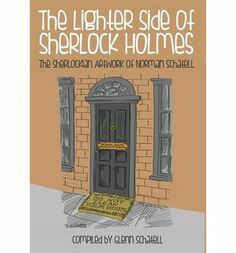 For those interested in Schatell’s work, please check out the book The Lighter Side of Sherlock Holmes by his son, Glenn Schatell. Ordering information and a few samples can be found at http://lightsidesherlockholmes.tumblr.com.